Our coverage of the exciting new Bounce Eclectus Mushroom coral, which appeared in the RARITIES column of CORAL Magazine, March/April 2019, highlighted what will surely become one of the must-have unusual corallimorphs for the collector. 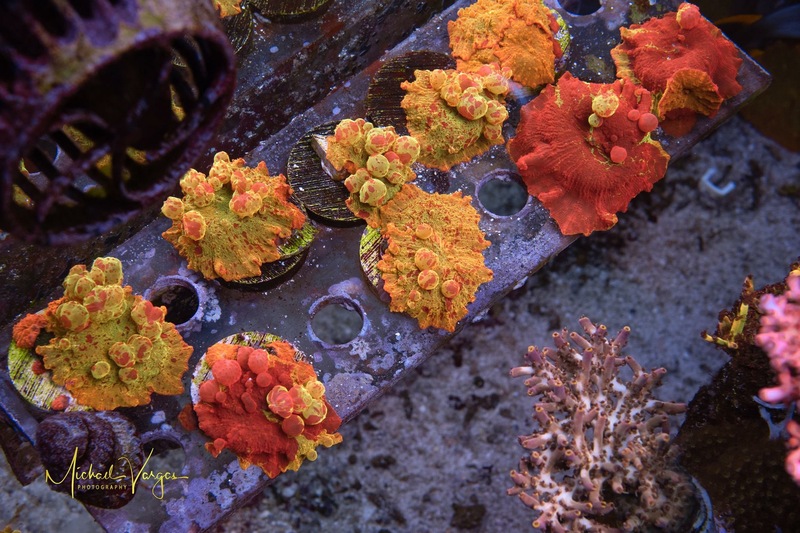 The story was brought to us by Thinh Vu of Mythical Corals, but truly could not have been told without the beautiful photography of Michael Vargas, who regularly photographs corals in Vu’s collection. The photography credits in the printed edition on pages 26 and 27 incorrectly credit Thinh Vu / Mythical Corals; the proper photography credit should read Michael Vargus Photography. We regret the oversight and not catching this sooner. Our online excerpt did carry the correct photography credits, and our digital edition will be updated with the correct information. 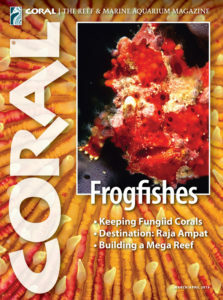 We look forward to bringing you more examples of the stunning images captured by Michael Vargus in future issues of CORAL—perhaps you’ll see something exciting in the May/June 2019 issue!